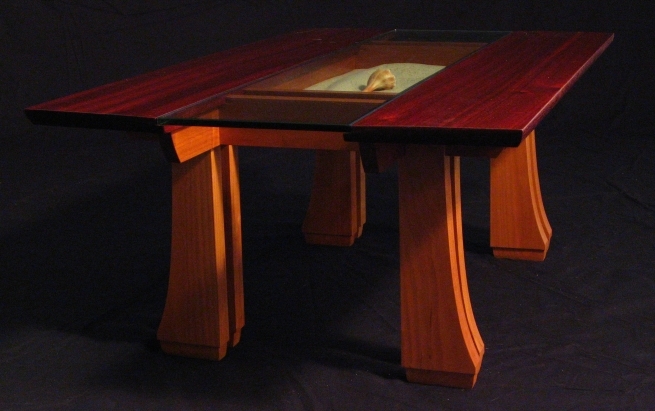 I wish I could take credit for the design of this table, but that honor goes to Dale Raymond, who was kind enough to share his original drawings with me. 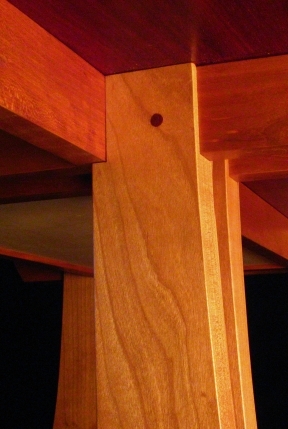 The eight legs are jointed to the aprons with pegged bridle joints. 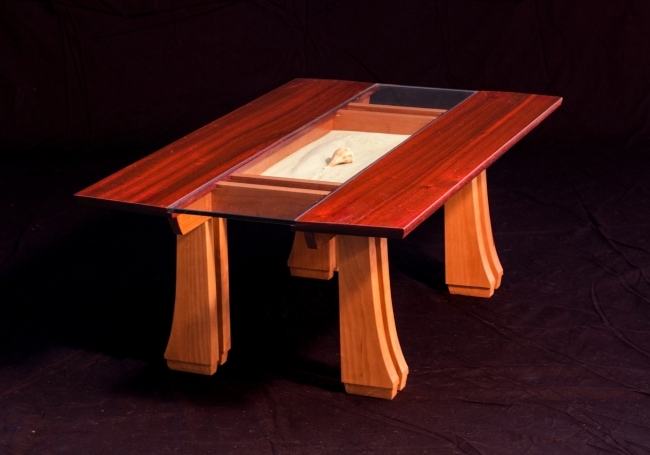 The two padauk top sections are joined to the 4 shorter aprons with sliding dovetails. After staring at the drawings for a while, I realized that this design does use any metal fasteners...and if I was careful it might even stand without glue (it does! ).